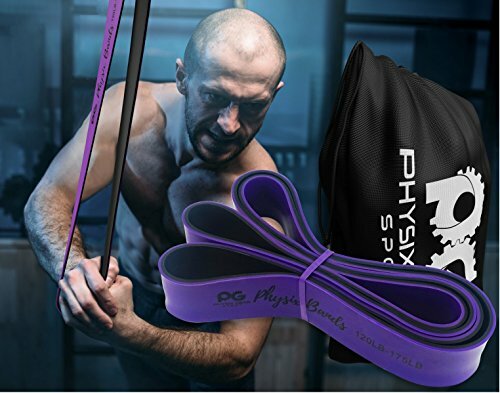 LEAVE COMPETITION IN THE DUST – Arriving with a Free Travel Bag Your New Physix Power Bands brings the Gym to you! 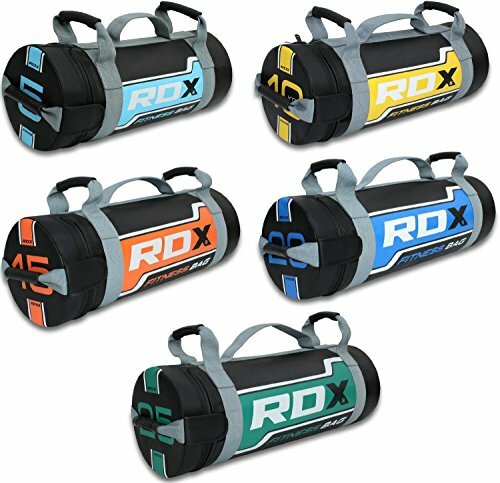 Whether at Home or on the road Get enhanced Stretch assist full body pump in less than 20 minutes. 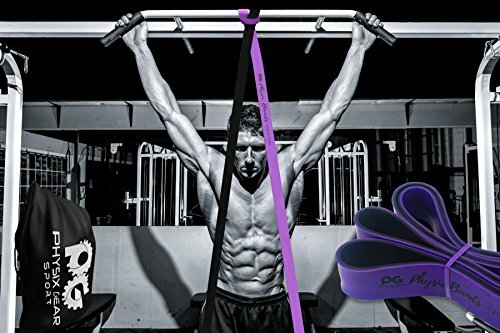 Feel the confidence with Heavy Duty assisted pull ups bands that last. 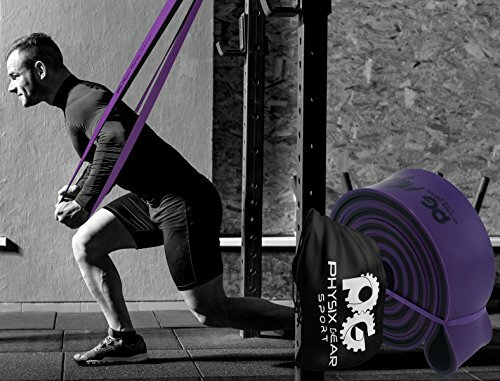 Physix Bands are versatile designed for Explosive Powerlifting exercises and perfect for CrossFit. 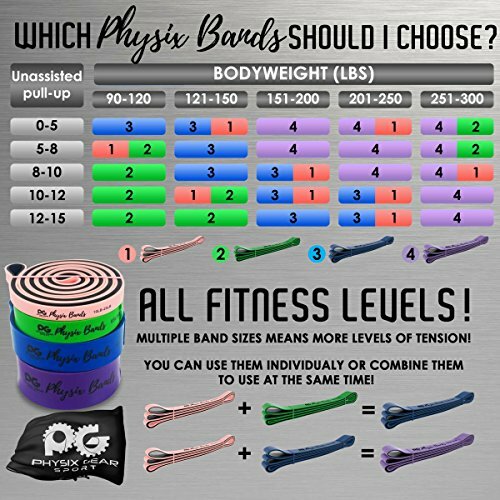 With a lifetime warranty Your New Physix Bands are just what you need to turn boring into NEW exciting results! 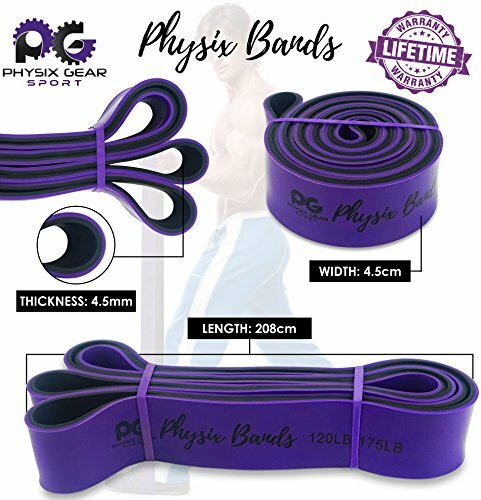 ALL SKILL LEVELS – Whether just starting your fitness journey or a seasoned athlete, Physix Gear Heavy Duty Bands will help you take fitness training or rehab to the next level. 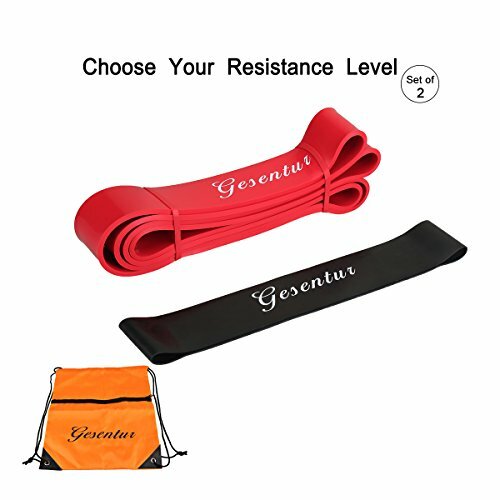 As you Gradually build strength These addictive bands provide endless growth providing multiple levels of training resistance. Grab the thicker band then add the smaller band to squeeze out a few additional reps. As your strength gradually increases switch from double bands to the thicker bands. The sky’s your limit! Order comes with one single band or 4 Set. 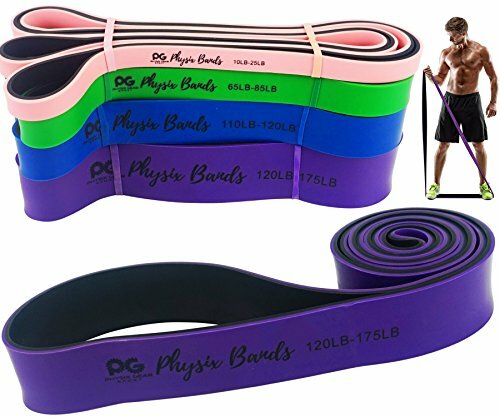 If you would like to purchase multiple bands of the same size or of different sizes, simply add them to your basket before you checkout. ✔ Pull Ups – Increase your strength and build muscle. 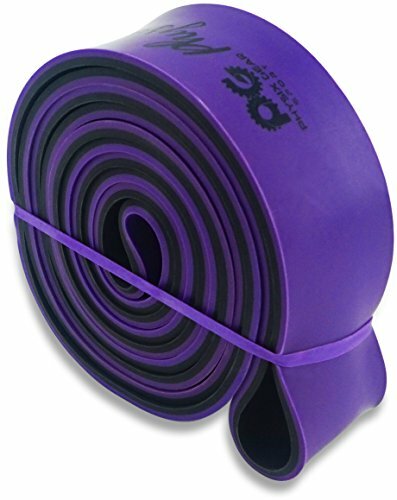 ✔ Versatile – Range of band sizes and exercise options for all muscle groups. 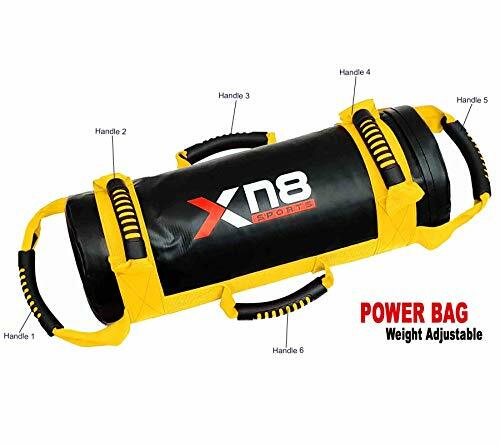 ✔ Portable – Use at home, in the gym or on the go. 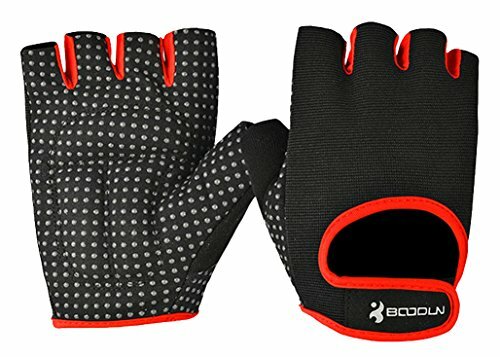 ✔ Highest Quality – 100% natural latex. ✔ Physical Therapy – Ideal for injury rehabilitation and improved mobility. 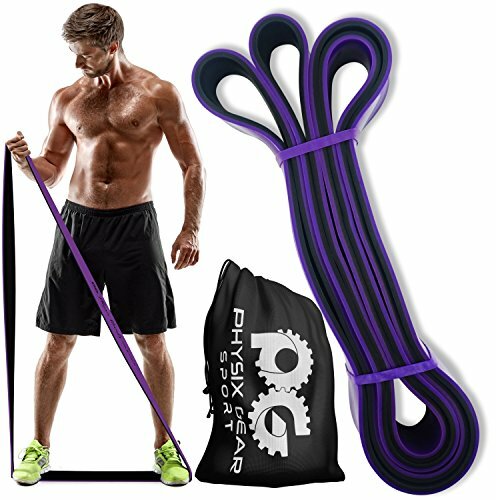 *Lifetime Warranty* Physix Bands resistance bands are designed with a focus on durability and quality. If you are not 100% satisfied with your purchase, simply let us know and we will refund you in full. 100% MONEY BACK GUARANTEE – With hundreds of options available you are making a very intelligent decision doing business with Physix Gear Sport. We know you’re a big deal and we’ll only provide you with the finest product and service around or your money back -No questions asked! Add your Physix Bands to your Cart and experience the Physix Gear customer experience phenomenon!